Using a credit card for purchases is a great way to build a positive credit history, while potentially earning rewards on what you spend. Credit card promotions that offer low interest rates can be quite tempting, but unless you read the fine print, you could be hit by hidden fees or unexpected rate increases. There are a few things to look out for when examining your credit card or when applying for a new card. Here are the top four considerations when avoiding hidden credit card fees is your goal. One of the biggest pitfalls to watch out for with hidden credit card costs are teaser rates. These rates are typically offered as introductory interest rates on a new credit card. For example, you might receive an offer in the mail for a balance transfer card with a 0% APR. While these appear to be good deals, what you have to keep in mind is that these rates don't last forever. Teaser rates generally only stick around for six to 18 months, depending on the card. Before signing up for any card with a low rate, read the fine print to find out what the standard rate will be once the teaser rate period is up. These offers almost never clearly promote the standard rate, and they do so purposefully, so you’ll probably have to look through the full terms to find out. If the standard APR for purchases or balance transfers is much higher and you think you'll carry a balance at some point, you'll need to weigh whether snagging a low introductory rate is worth it in the long run. Taking advantage of 0% balance transfers can help you pay down your credit card debt faster while saving on interest. 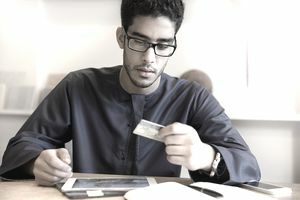 The catch is that while the credit card company may not charge interest on the transfer, you may have to pay a fee for shuffling balances from one card to another. Balance transfer fees can be upwards of 3% of the amount you transfer, which can add quite a bit to what you owe if you're transferring a large balance. If you can pay off the balance before the rates adjust and don’t make any new purchases, a balance transfer can still be a good idea but you have to factor in the added cost of the fee. It's important to make monthly payments on time to preserve your credit score. At the same time, paying on time can help you avoid steep late fees. One missed payment can cost as much as a $39 late fee, and your interest rate may skyrocket to over 30%. Not only does that hurt financially, but it can damage your credit score and make future loans harder to obtain and most costly. Setting up alerts is an easy way to keep track of credit card due dates. You can go one step further and schedule automatic payments from your checking account each month so you never have to worry about paying late. One hidden cost that is largely out of your control is an interest rate increase that happens across the board. Depending on the interest rate and lending markets, banks may occasionally increase their standard interest rates with little or no warning. One thing you can do is to give your credit card company a call and ask for a lower interest rate. You may be surprised to find that if you have a good payment history, you may very well be offered a lower rate. Last, but not least, there are membership fees to look out for. While sometimes your only credit card options will come with annual fees, such as when you have little to no credit history for the company to assess, annual fees can be costly. Be sure to check if there is an annual fee on the card you are considering. Cards that offer special membership perks like travel rewards or cash back might cover some of the cost of those features with an annual fee. You might run some quick calculations and decide that the perks still outweigh the cost of the annual fee, but there are enough credit cards out there with no fees that might be worth considering first.